One of the highest profile poker sponsorships has ended. Prima Poker have split with The Hendon Mob after two years of their $1,000,000 a year agreement. 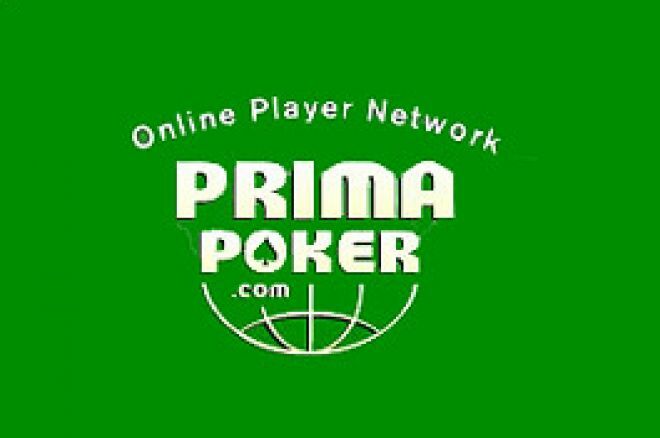 In a statement on their website, The Hendon Mob and Prima Poker have announced they have parted company in what appears to be a very amicable seperation. In the statement title "Mission Accomplished" released at the end of 2005, Prima Network CEO said "Both Prima and the Mob have enjoyed and benefited from our work together over the past two years." He continued "The Mob are world-class players and we wish them the best of luck, at the tables and beyond." The Hendon Mob's deal was worth a reported $1,000,000 per year and was the first of its kind by an online poker room. As ambassadors for the Prima network, Joe, Barny, Ram and Ross toured to over forty poker tournaments, to promote Prima, assist their online qualifiers and build exposure for the network on the whole. Upon release of the statement, Barny Boatman, well known poker voice and mobster, said "Our association over the past two and a half years has been a great success both for Prima and for the Mob," said Barny Boatman. "We have made many great friends across the Prima Network and we look forward to seeing a continuation of the phenomenal growth which we have been a part of. We have seen Prima become, from a standing start, the world's foremost poker network and as far as building the brand is concerned it is a case of 'job done'. The Mob retains good relations with Prima and with many of the network's card rooms. In particular we look forward to continuing to support the hugely successful Monte Carlo Millions which has become one of the world's most prestigious events." As one door closes for The Hendon Mob, rumours are now circulating about who, if anybody, will take them on next. Prima Poker are also without high profile names to continue the promotion of their network. Famous names and Dollar figures dwarfing the mob's old deal are already being discussed on the poker forums.